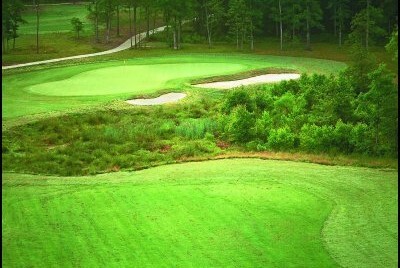 Williamsburg National Jamestown Golf Course was named after nearby historic Jamestown and designed by the Nicklaus Design group this 4-star GOLF DIGEST winner is a favorite for golfers of all skill levels. 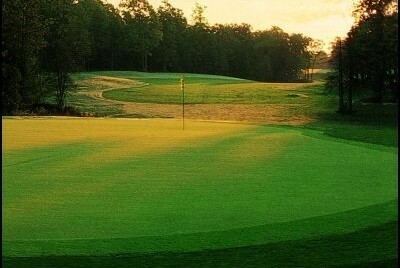 Generous fairways and soft dog legs make the Jamestown very playable for the average golfer but the natural topography and unique layout add plenty of character and challenge for even the best players in the world. The Jamestown course has hosted several PGA tour Monday qualifiers. Williamsburg National Golf Club is under new ownership as of November 2016. Significant capital has been committed to raising course conditions and hiring experienced professionals to raise the overall golf experience. By late spring 2017 Williamsburg Golfers can expect a high quality golf experience at Williamsburg National Golf Club. Updates include resurfacing of the Jamestown Greens with UltraDwarf Bermuda grass. With two distinctly different championship golf courses on-site (Jamestown and Yorktown) surrounded by one of Williamsburg’s most popular condo lodging properties, Greenspring’s Vacation Resort you can get stay and play feel without a stay and play price. If you like the benefits of Stay and Play but don’t want to pay a stay and play price this trip is for you. It includes spacious four bedroom condo accommodations at Greensprings Vacation Resort located less than a half mile from the Williamsburg National Clubhouse. Call 1-877-806-8163 and ask about this unique golf trip today.